A lot of people feel that their fingers can’t type properly on the iPhone keyboard, especially if they have an older model and less space to type. 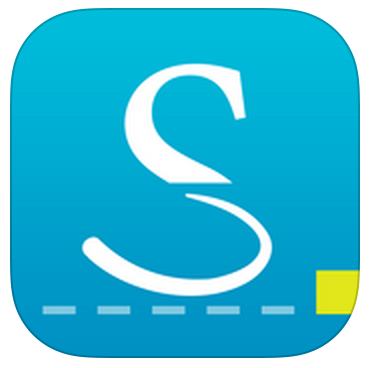 Enter MyScript’s Stylus keyboard (free). This keyboard model allows you to write into the keyboard extension with your finger or your own stylus of any variety. Tip: writing with a stylus is better—and it's more accurate. 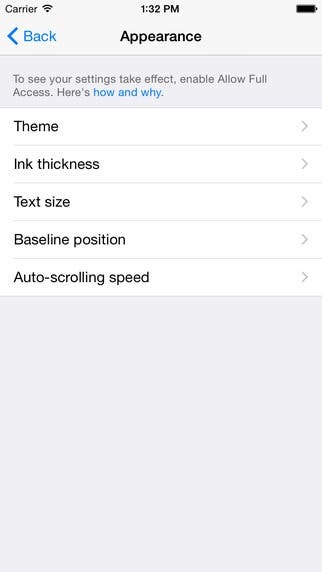 The app is more likely to pick up thin pen writing over sloppy finger writing. 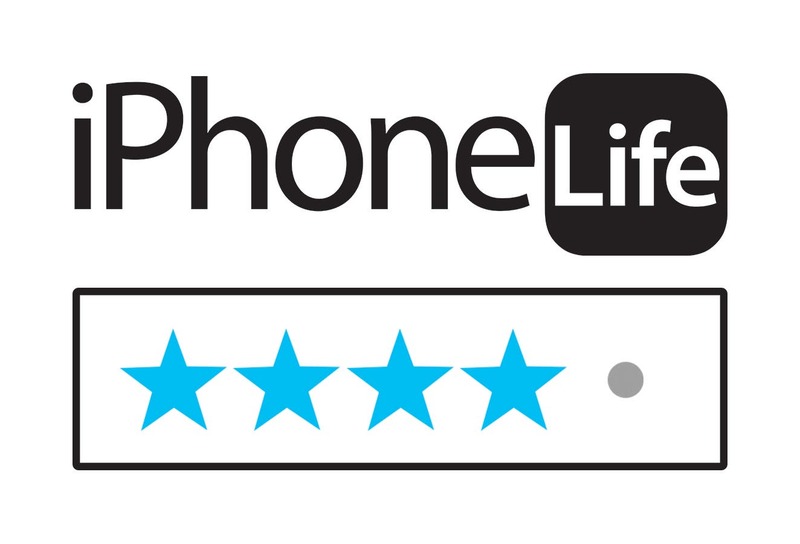 For help setting up a new keyboard on your phone, click here. 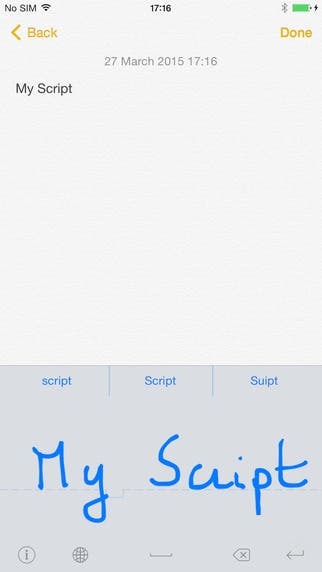 MyScript can translate handwriting or stylus writing into text right on your iPhone screen via a third-party keyboard app. There are a few different functions that split (draw line down to make a space), overwrite (write over the script) join (draw a line straight up), or erase (draw line through). You can keep writing because the screen will scroll, giving you more room to write. In order for your writing to be legible, you have to go pretty slowly and evenly while you draw your letters. For people like me who type at the speed of light (and in this case, typing is faster), this could be a problem for MyScript. At first try, the writing was sloppy, but once I got the hang of writing at the pace necessary for input, my experience was much better. MyScript also tells me they’ve put Handwriting Recognition technology to the test with this app, and have a ton of features (like ink thickness and auto-scrolling speed) to make the app more customizable. It’s the first keyboard that I’ve heard of that allows you to type into the field, which is innovative. The shortcuts are handy and easy to use once you get the hang of the app. If you are a speed writer, or impatient, beware. It is a little time consuming for texting (unless you really like to think out your responses), but would be better for email or longer-form writing on your phone. It's also easier with a stylus, so you'll have to get one that looks like a pen to make it work perfectly! If you’re looking for a handwriting-powered iOS keyboard, look no further. MyScript Stylus has everything you need.